Saree is the quintessential Indian wear. 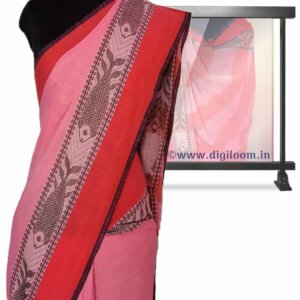 This six and half yards of fabric makes every women look beautiful and elegant. 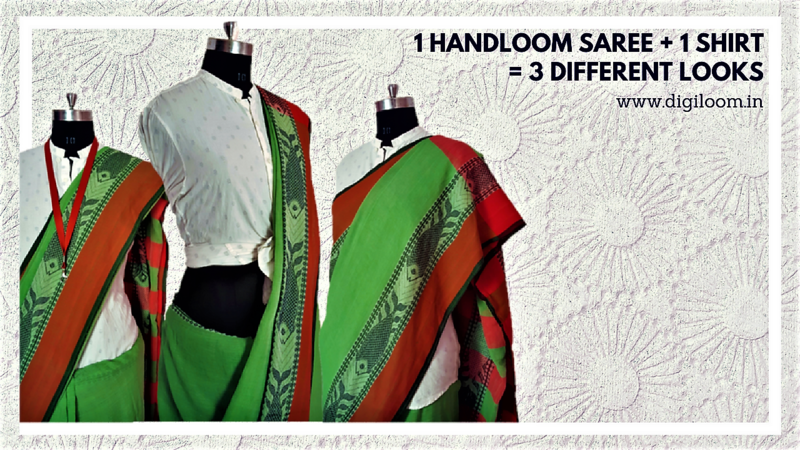 And wearing hand woven, handloom saree definitely adds to your personality. But a beautiful saree is just half the battle won, as it needs equally beautiful blouse to compliment it. A blouse can make or break the whole look for you. 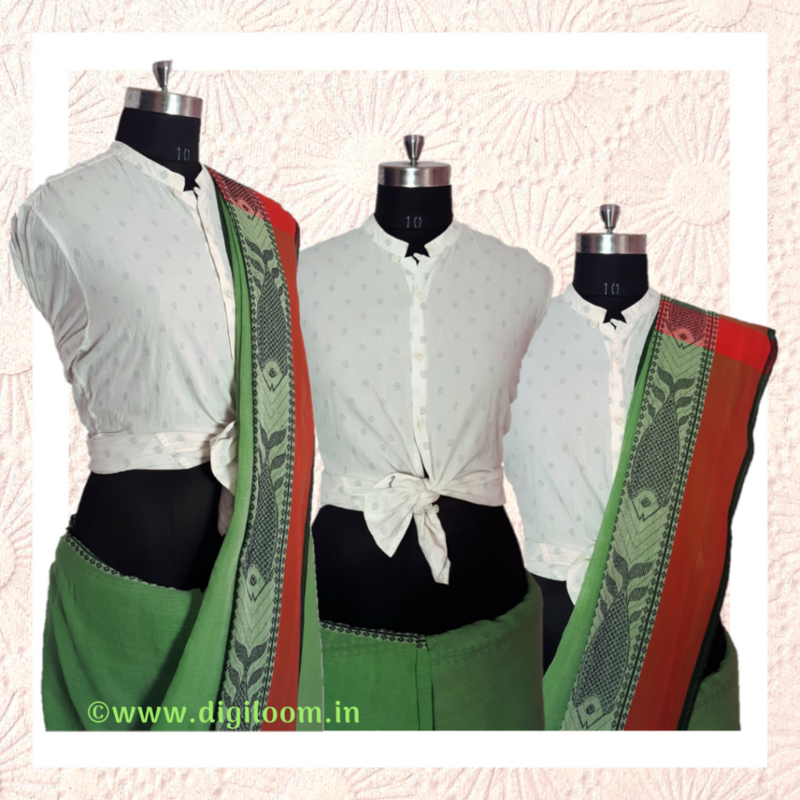 BTW do you know you can never go wrong with a crispy white shirt as a blouse with handloom cotton saree? Yes! you read it right.. A saree with a shirt.! 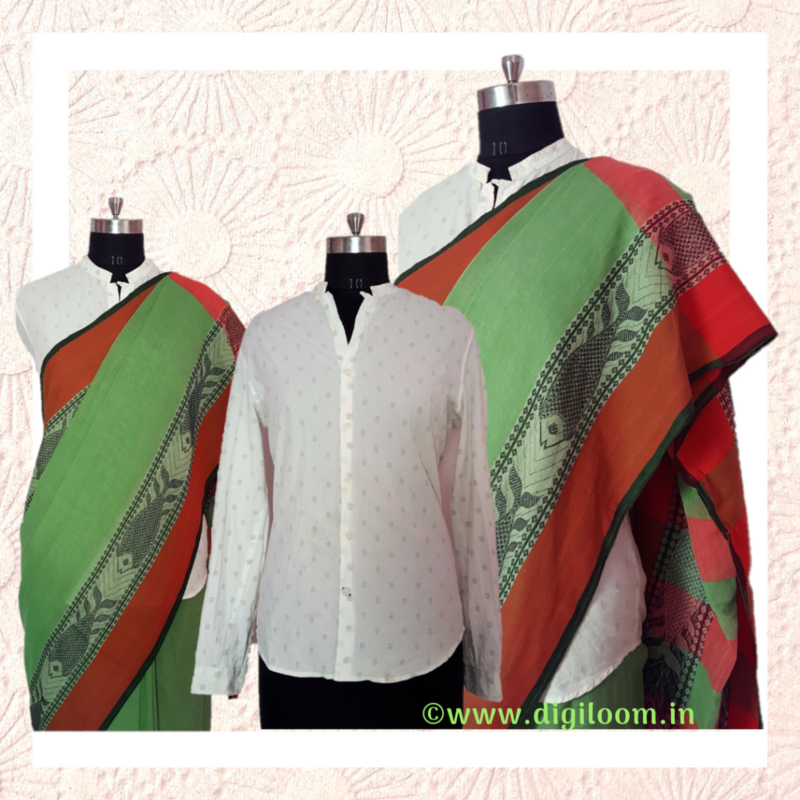 Try these three different looks with a handloom saree and a shirt..
3 different looks from a handloom saree and a shirt. Tug in the shirt under the petticoat before draping the saree. Start draping the saree as shown in the image below. Pleat the ‘Pallu’ neatly and tug it nicely. You are ready for the boardroom meeting. Do you know the genesis of a prefect office wear for women? 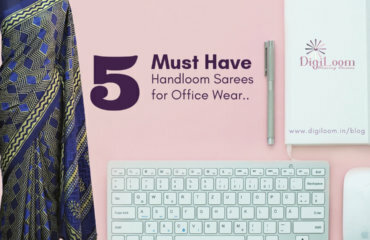 I have explained in details on my previous post 5 Must have Handloom Sarees for Office Wear. This one is easy. Just wear the shirt as shown below. Now drape the saree in the most relaxed way. And you are ready for your day to day chores. Put on the shirt and tie a knot in front. Drape the saree neatly with just 3-4 small pleats in front. Pleat the ‘pallu’ neatly and tug it in a way, that creates right amount of cowl in the hip area. Voila! Get ready for all the attention you will get at the party. The first round of the saree draping is the foundation of the whole saree. Tug in the loose ends nicely and neatly. Accessorize it with right type of accessories. DO NOT opt of Yellow Gold Jewellery with any of the above look. Silver Fashion Jewellery goes perfect with these three looks. 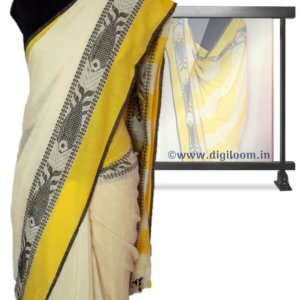 There are variety of hand woven, handloom sarees available here at DIGILOOM. 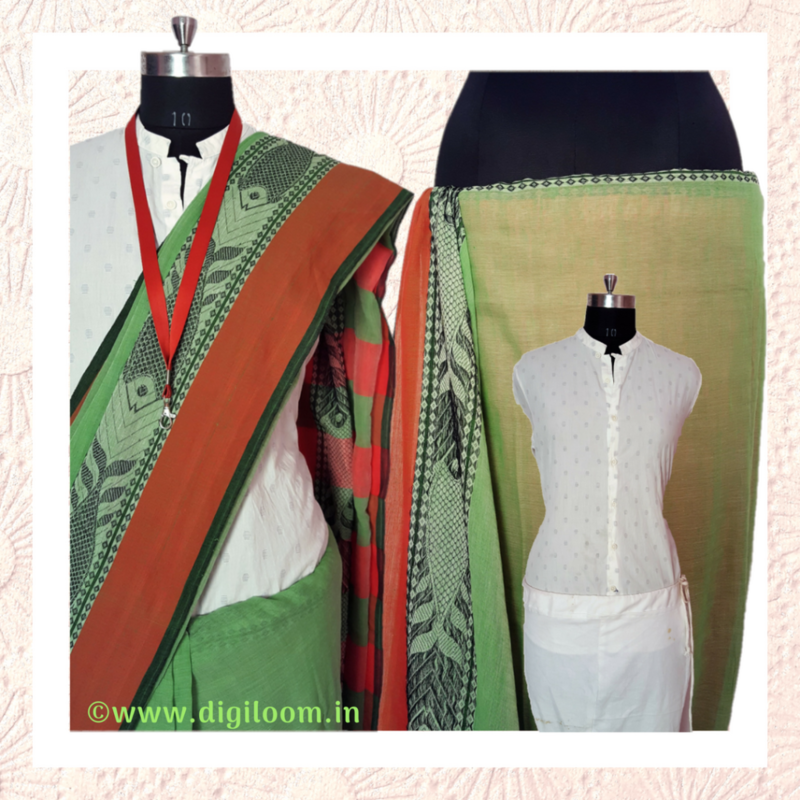 We share interesting contents, handloom fashion tips, exciting contests, Discount Offers etc on our social media.